I know. You’ve all just been dying to know how and why I look so freaking amazing every single day! (haha I’m hilarious.) Well today I unveil all my secrets to this flawless face. 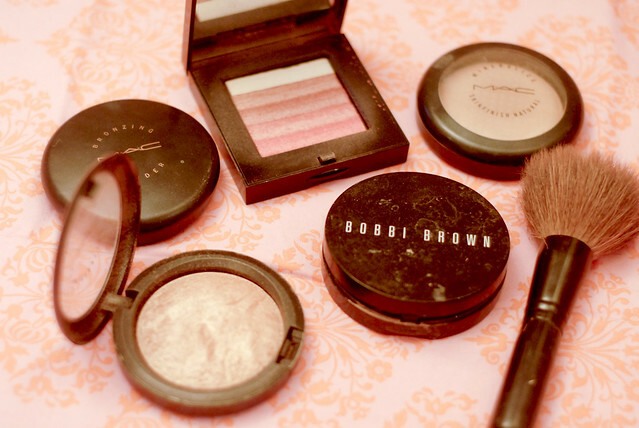 Every day I wear either the shimmer block or the bronzer. These are the only brands that I have found that work perfectly with my skin and skin tone. I use the word “perfectly” very loosely. Obviously. 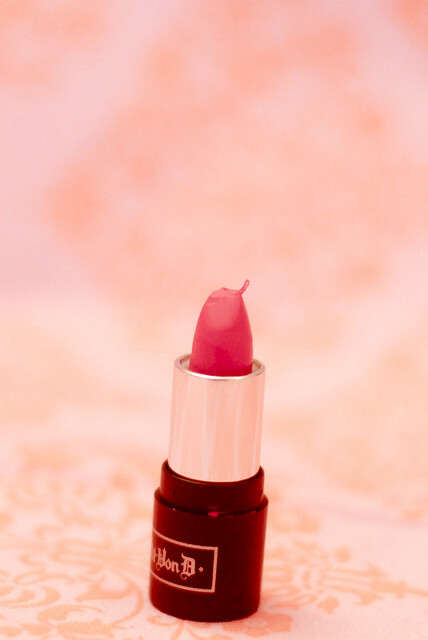 I have a thing for lip products. 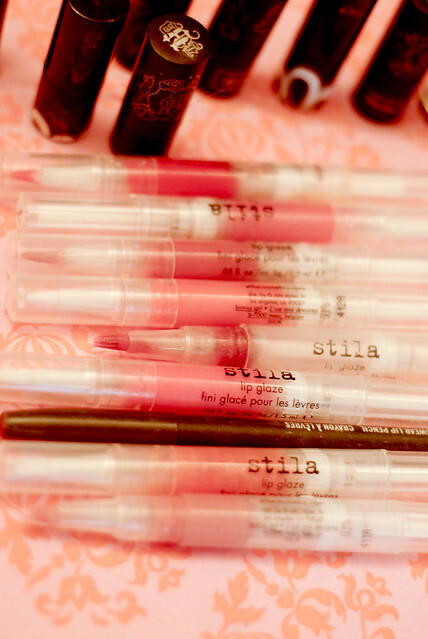 I am slightly obsessed with STILA lip glazes and own nearly every color. I have them stashed in my car, in junk drawers, in random purses and pockets. I give them as gifts and stock up when Costco gets them. They rock. 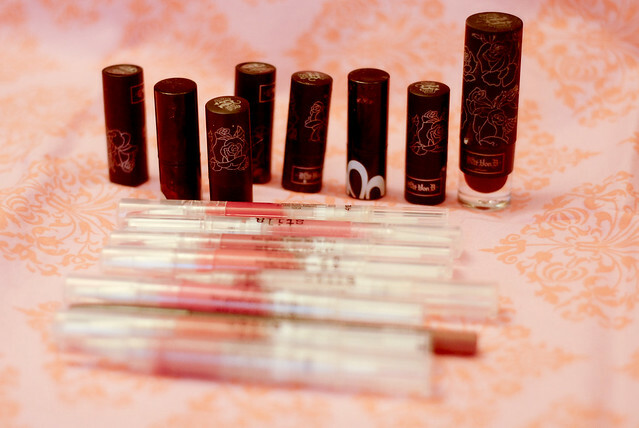 I also kind of love Kat Von D. And while I RARELY wear her lip sticks, I like having them. That’s not healthy. But this color? This summer I’m going to rock it. Long ago I came to terms with the fact that I do not have flawless skin. Never in my life have I gone a day without a blemish. And there are usually many. I was not blessed with tiny pores and clear, smooth skin. But that’s okay because I’ve learned how to deal with it. There are worse things to have than a pimple, right? 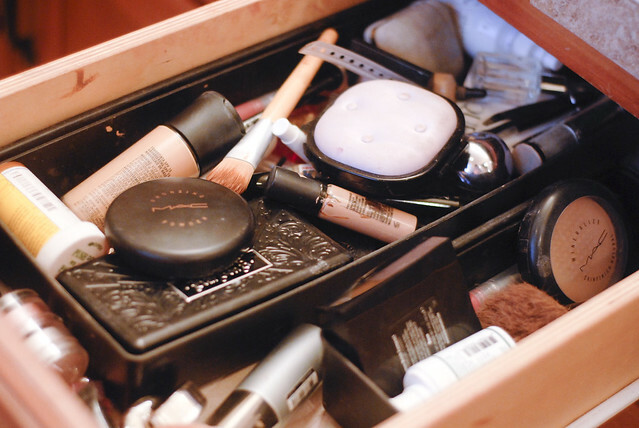 I use MAC concealer and some days, that’s all I use on my entire face. It really does cover up everything but it doesn’t feel like I’m completely covered in stage makeup like some foundations do. 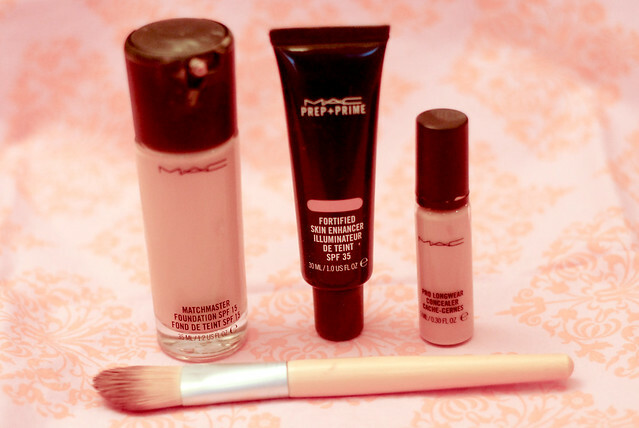 The MAC foundation, though, is a bit heavier and I don’t use it as a spot concealer. I only put this on when I’m going out…..and ‘out’ to me is someplace like Costco where I will see everyone and their dog. I use the primer when I’m going out out. My life is so complicated, isn’t it? *sigh* to be so popular is a burden…. My eyebrows are the most ridiculous thing on this planet. If I had a dime for every time I was told I had a unibrow in elementary school, I’d be able to afford to get the brows waxed every week for the rest of my life. But I don’t. So I have to tweeze at home, which is a chore and 1/2. Which is why I don’t do it very often. Which is why my eyebrows are always a disaster. Which is why (partly why) I chose to get bangs. They go over my eyebrows. I’m tricky. 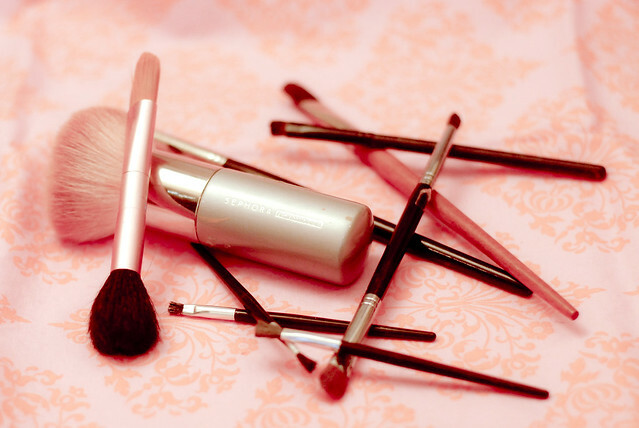 On to the eyes….this MAC mascara is amazing. But on my lashes (my mother actually blessed me with wonderful eyelashes, that is one good thing about this face of mine) it looks a little whore-ish so I only wear it for special occasions….when i want to look whore-ish. Kidding, I try not to look like a whore. The eyeliner is Kat Von D and it’s pretty legit, too. I’m horrible at applying eyeshadow. So, so horrible. I mean, I can easily apply one color in one coat straight across my eye lid. But so can Charlotte. 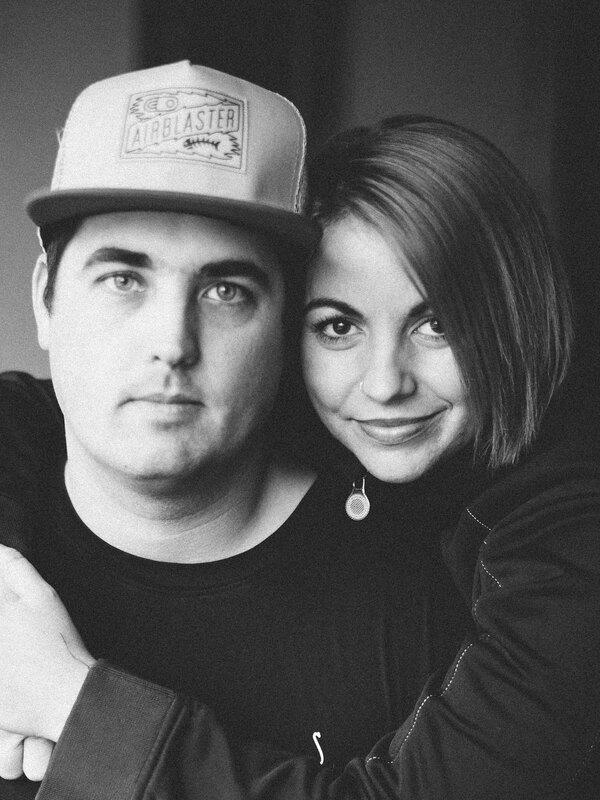 When I need my makeup done, I always beg Leann to do it because she could apply makeup to the stars, if she wanted, and get paid big bucks, but instead she is a mama to 2 of the most adorable children and is crafty as all get out. But she always looks amazing. I like to plan events around her trips home so I am guaranteed to look my best. 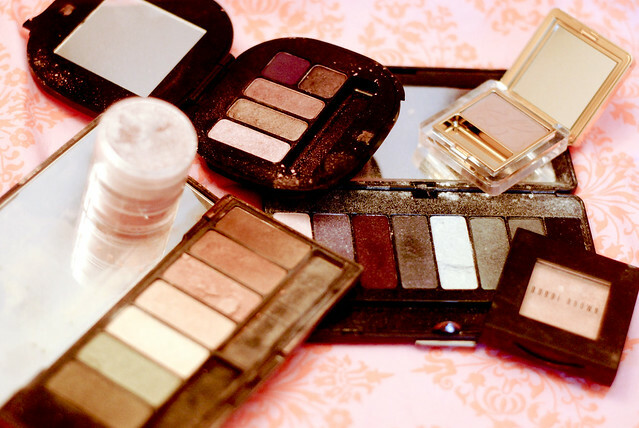 I pack up my eyeshadows (most of which she has gifted me, because she knows her stuff) and head over to her house and pretend I’m in highschool again. Then I’m quickly brought back to reality when my babies start crying and Leann has to take a nursing break for her baby. Ah, life is funny. 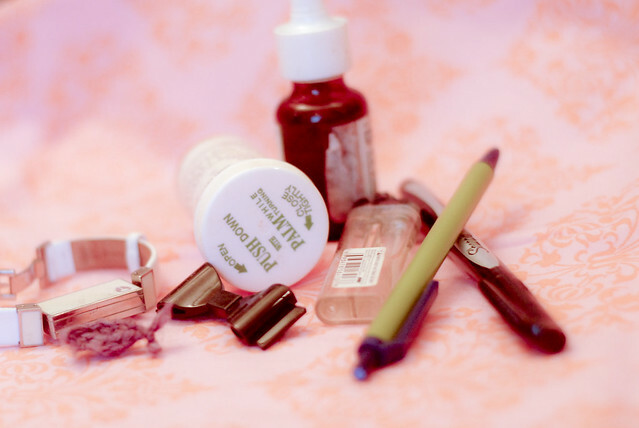 Medication (not fun stuff, so don’t come rob me), pens, markers, broken parts to makeup cases that I should throw away, lighters, random jewelry. It would take me less than 2 minutes to clean this stuff out, but I don’t. I probably should have just left it all out when I took this picture, but do you know what I did? I swept it all back in the drawer. Over the last couple of years, I’ve received a couple sample gifts. The sets from Sephora where you get a box of maybe 8 or 9 samples of a product (I got the perfume and skin care) and a gift certificate for a full size of one of the products. They are awesome. Who doesn’t love a good sample? 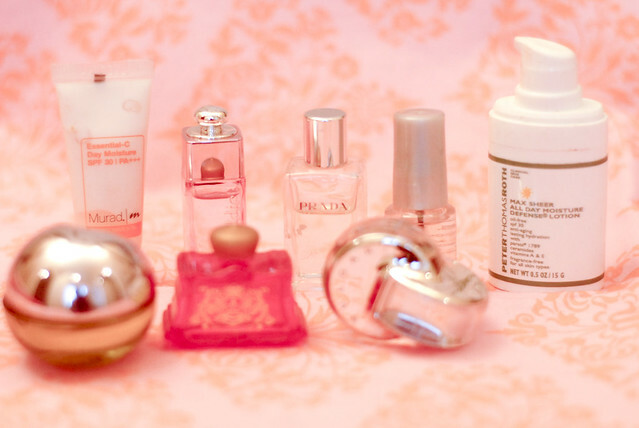 And when someone asks what perfume I’m wearing because I smell divine (oh, how I wish that would happen), I’ve practiced saying, “Oh, this? This is just Gucci…” And they’ll never know it was a tiny bottle the size of my pinky nail. Bobby pins for days. So. Many. 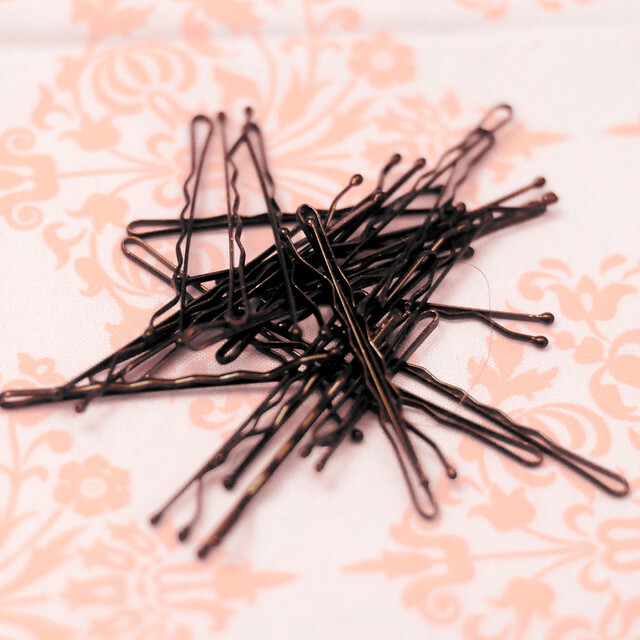 Bobby pins. 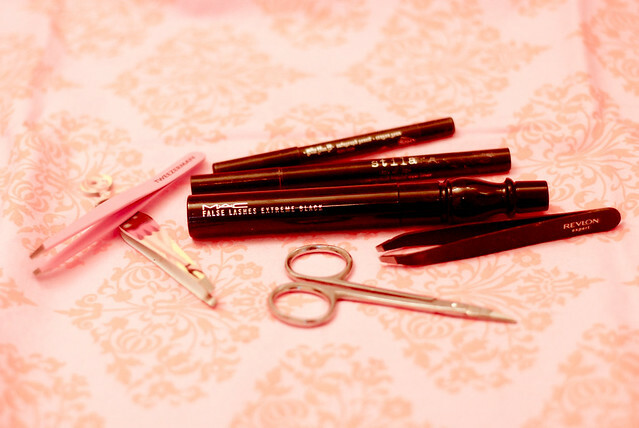 I use them, I put them in the girls’ hair. I put one in my pocket so that I always have a “key” in case one of the kids locks themselves in any of our bathrooms or my room. They are handy little suckers. But let me tell you…they do not easily vacuum up. So there you go. Be careful as you are running out the door to purchase every single item so you can look just like me. Don’t fall. Drive the speed limit. This entry was posted in Uncategorized on February 21, 2013 by ruthie1985.